The folks at XM Radio were kind enough to give me an XMP3, and I'm having a lot of fun with it, so the least I can do is tell you about this Christmas promotion they're running. 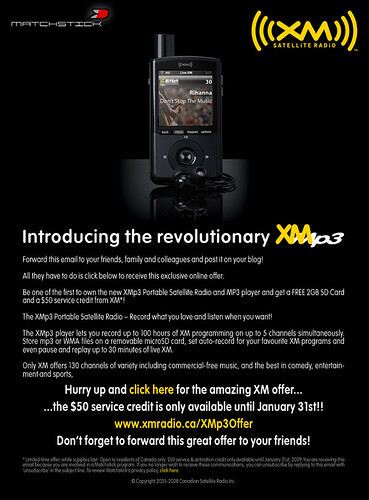 For starters, the XMp3 portable satellite radio is now on sale for $199. And, if you click that link above, you can get a free MicroSD card. 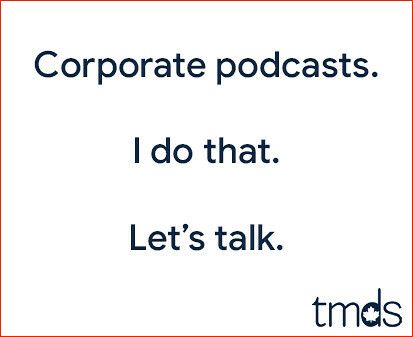 There are other incentives too, so click here if you're interested. As much as this seems like a great offer, I'm still going to hold out until if/when the merger happens - Howard Stern is a pretty big sell for me.